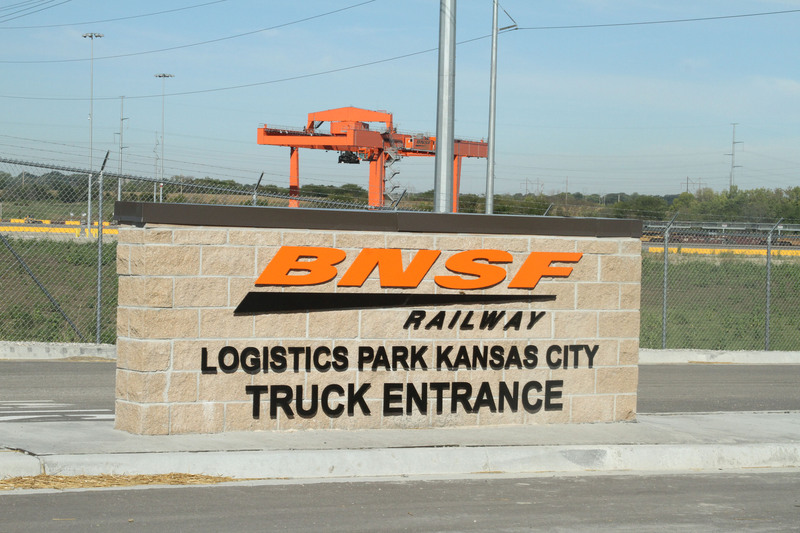 FORT WORTH, Texas, October 17, 2013 /3BL Media/ — BNSF Railway today introduced its new Logistics Park Kansas City (LPKC) Intermodal Facility in Edgerton, Kan., to customers, business and elected officials during the facility’s grand opening ceremony. 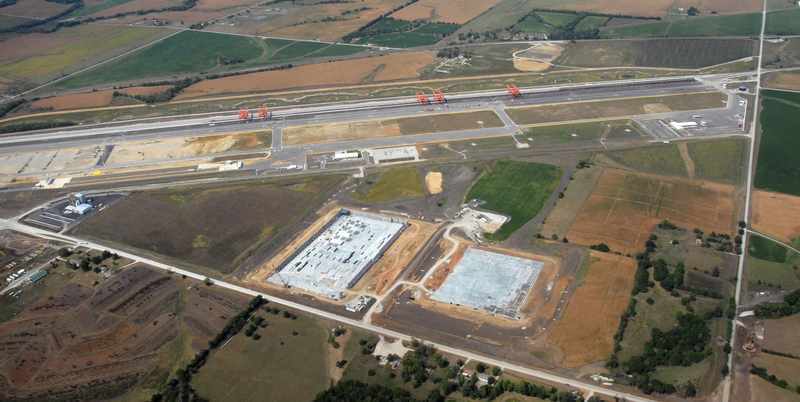 LPKC is a more than 1,550-acre master-planned distribution and warehouse development anchored by BNSF’s newest intermodal facility, the third such facility to anchor a Logistics Park on BNSF’s network. 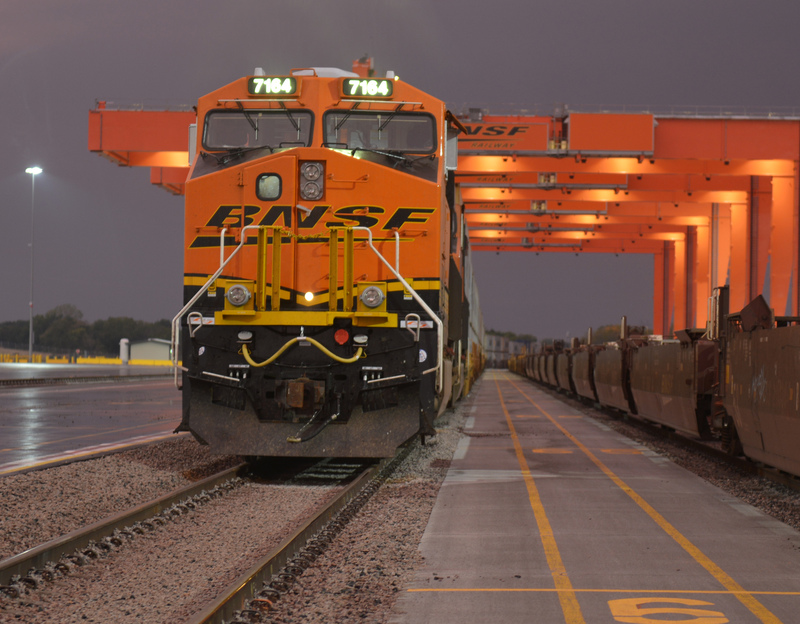 BNSF’s LPKC Intermodal Facility has been designed to accommodate the growing demands of freight rail transportation in the Kansas City region and will initially nearly double BNSF’s lift capacity in that market. The Intermodal facility encompasses 433 acres and will have an initial lift capacity of 500,000 truck containers and trailers with the ability to expand to 1.5 million units. BNSF has incorporated decades of experience in developing more efficient logistics facilities into the design of the $250 million LPKC Intermodal Facility. BNSF helped pioneer the Logistics Park concept which uses an intermodal facility to anchor the development of adjacent distribution centers to reduce supply chain costs, truck miles traveled, energy consumption and emissions. The LPKC facility has six 8,000-foot tracks for loading and unloading Intermodal trains, more than 1,800 parking spaces and will have 4,300 container stacking spots at full build-out. It is equipped with five wide-span, electric, rail-mounted gantry cranes, which produce zero emissions on site and will significantly reduce the number of hostler trucks needed to move containers within the facility. LPKC also features an automated gate system for trucks as they enter and exit the intermodal facility, a biometric driver identification system and digital cameras to record images of containers, chassis and tractors. These elements will increase security, while improving throughput, and reducing truck idling and emissions. LPKC is the only full-service BNSF facility in the western two-thirds of the U.S. offering domestic intermodal service (container, trailer, and expedited and standard service levels), international intermodal service and direct-rail/carload service. The facility also has direct access to I-35 via the new Homestead Lane and Double Diverging Diamond Interchange reducing idling, braking and emissions. LPKC is projected to help create an estimated 7,400 jobs in the immediate area of the development and 13,000 jobs in the state of Kansas at full build-out. BNSF Railway is one of North America’s leading freight transportation companies operating on 32,500 route miles of track in 28 states and two Canadian provinces. BNSF is one of the top transporters of consumer goods, grain and agricultural products, low-sulfur coal, and industrial goods such as petroleum, chemicals, housing materials, food and beverages. BNSF’s shipments help feed, clothe, supply, and power American homes and businesses every day. BNSF and its employees have developed one of the most technologically advanced, and efficient railroads in the industry. We work continuously to improve the value of the safety, service, energy, and environmental benefits we provide to our customers and the communities we serve. You can learn more about BNSF at www.BNSF.com .